Third week of the Junior Writers program and it’s starting to kick off. This week, we discussed imagination and mood. When you’re writing a dialogue with characters, you want to be expressive and descriptive. You want your reader to imagine what your character is doing. One way of doing that is trying to replace “said” in your written work. When you’re editing your final draft, circle all the “said” and try to replace it with a different word. I then gave them a chart on how you can show emotions and feelings through characters. For example, if your character has tripped over his shoelace – he will feel embarrassed. How can we show “embarrassed”? 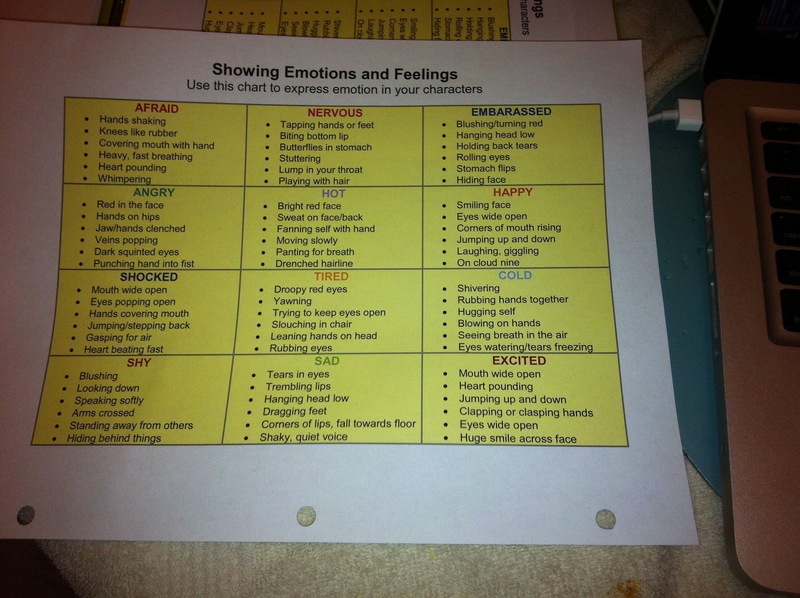 Use this chart to help you write and describe your character’s emotions. We then came up with emotions that a character could feel. We then wrote an example of what makes you feel that way. For example: Angry. I feel angry when I see someone littering! For our writing activity, we had to write a letter saying that we’re sorry. They could decide what they have done, and who they are apologizing to. They could also decide whether it was a good apology or if they don’t really mean it and just want to get out of trouble.